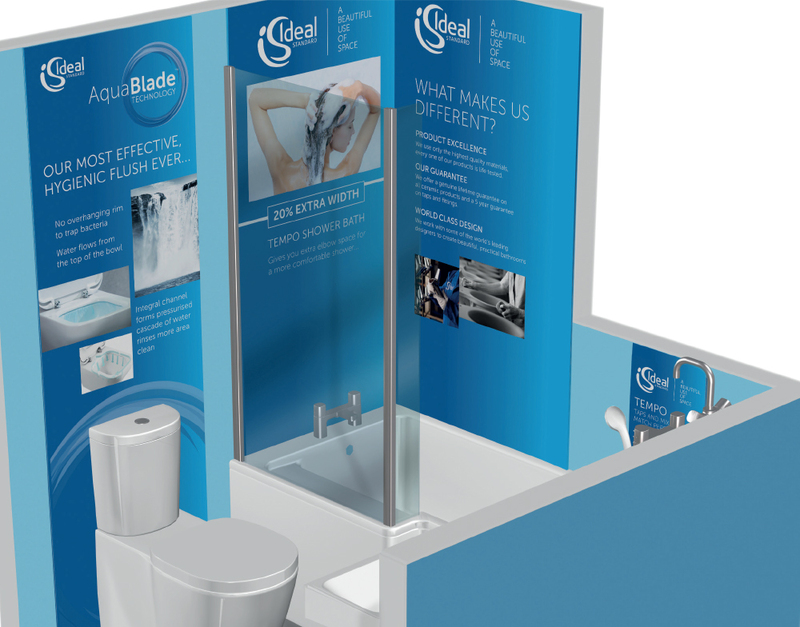 Ideal Standard wanted a new identity and communication materials for their revolutionary new AcquaBlade flush technology – the most significant innovation since the invention of the flush toilet! Our branding and trade collateral had to effectively communicate the features and benefits (as well as the stylish design credentials) to a diverse audience including architects, building contractors and interior designers. The instore POS had to appeal to shoppers encouraging them to trade up to the new product. 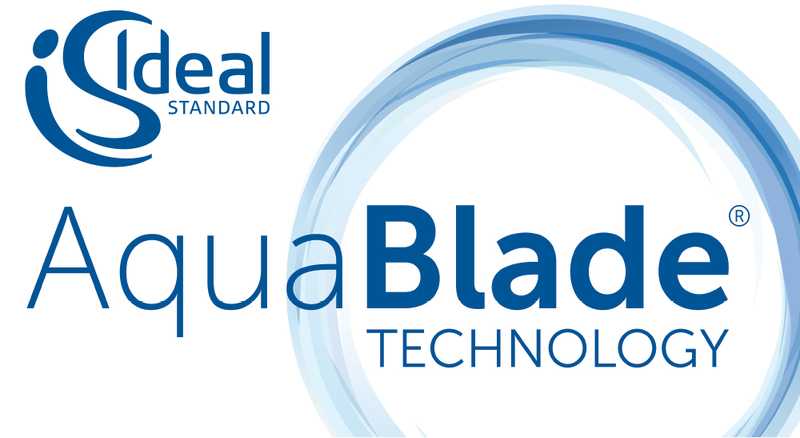 The AcquaBlade identity sits with the Ideal Standard master brand identity and hints at AcquaBlade’s cyclonic water flow pattern. The website and collateral are consistent in tone/style and used key graphics to clearly communicate the features and benefits of the technology. Our collateral for the European markets appealed to all professional audiences receiving excellent feedback from key customers. 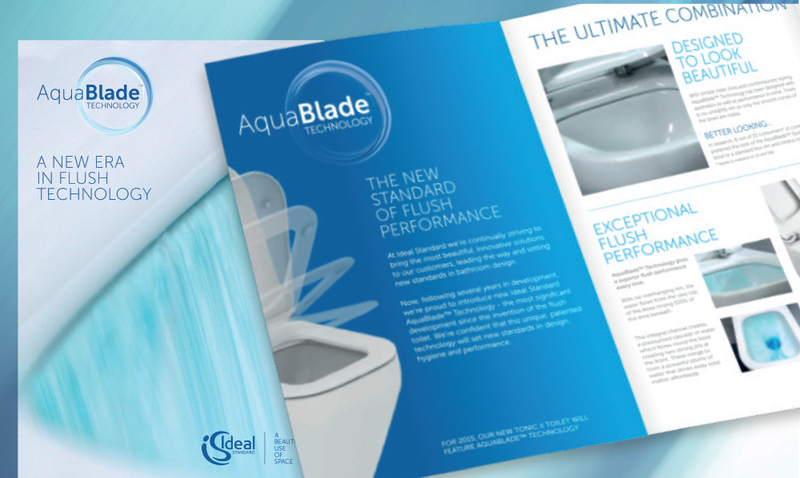 The POS (rolled out in B&Q stores) tells the Aquablade story and clearly communicates the revolutionary new technology and superior flush performance. “DGI worked closely with the European team to deliver a consistent and comprehensive package of support that ensured an impactful and highly successful AquaBlade launch at ISH. Our displays in B&Q have been particularly successful, raising awareness of Aquablade with consumers and explaining all the features and benefits of our new innovation”.